A month or so ago in the UK and Australia, Nintendo handed out codes at participating retailers, giving Pokémon X and Y players brand new Pokémon for their Pokdéxes; Magmar and Electabuzz. That promotion is now in South Africa, where you can walk in to a participating retailer and ask for one of those codes. Or, you could just be lazy and grab one right here. 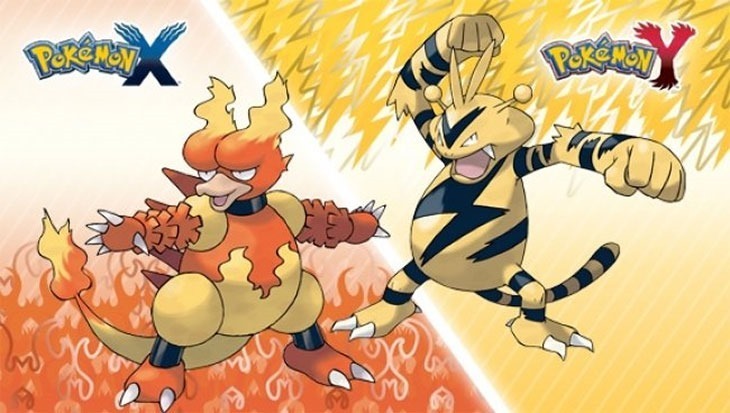 Pokémon X players can get the Fire-type Pokémon Magmar when they enter their codes, while Pokémon Y players will receive the Electric-type Pokémon Electabuzz. Both of these Pokémon are holding the item necessary to make them evolve (the Magmarizer for Magmar, and the Electirizer for Electabuzz). And all you need to do to get a code is fill in the form you’ll find here. Codes are limited, but we have got quite a few, so fill it in, and we’ll send you a code. Easy.